A gripping debut, hinting at the Hansel and Gretel fairy tale, about what happens when a loving brother and sister run away from home. Josephine, 16, and Jack, 18, live with their genius father, Raeburn, in a lonely mansion surrounded by Pennsylvania forest. Raeburn teaches physics at a college and is home only on weekends. Crazy Mary, their mother, departed with Jack when he was a child. He lived with her for ten years, until her suicide, when Jack returned to the mansion and fell in love with the beautiful sister he’d never seen before—as did she with her remarkably handsome brother. The children attend no school, but Raeburn teaches them at home, starting Josie out on Greek at age three and Euclid at six. The kids are left piles of books and advanced lessons in chemistry, math, and physics to complete during the week while they’re alone and caring for themselves. Raeburn is a harsh taskmaster, a vile and raving alcoholic who wets his pants and is so jealous of fellow physics teacher Ben Searles, already up for tenure, that he gets a student to say Searles made a pass at her. Famed recluses, the kids are heavy drinkers themselves. Jack gets Josie to seduce a druggist’s son into getting them some drugs. As with Rapunzel, Josie’s long blonde hair enraptures Jack, reminding him of his beautiful and beloved mother (at ten, he sat by her dead body for hours, running his hand through her hair). But at last Jack can no longer bear Raeburn’s rages, and he disappears for six months before returning to get Josie, when off they go. 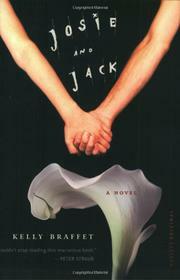 Jack, it turns out, has been charming women to let him be their apartment mates while he dips into petty crime. After grueling adventures, the siblings wind up on Central Park with an heiress in an all-white apartment smothered in lily fumes, but . . .
Top dialogue, strong storytelling. Are Tristan and Isolde next?